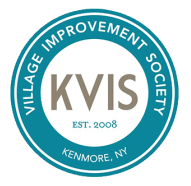 The KVIS Historic Kenmore Committee is in the process of writing and publishing a book about the Village. Called “Kenmore Remembers” the goal of the book is to capture memories of Kenmore from present and former residents. We hope to show the tangible and intangible essence of what makes Kenmore a special place while preserving memories that could disappear unless recorded now. The book will include photos and stories of Kenmore residents from the past and present. We will need your help and the help of those who have lived in the Village of Kenmore in the past to make this book a reality. Will you please consider recommending yourself and anyone else willing to share their Kenmore memories? Residents who have lived here a long time. People who have lived here in the past but have moved. People who have lived here for over 40 years to those who have lived here only a short while. Please click here to share your memory or to recommend someone whose memory of Kenmore should be included in the book and thank you for your help with this exciting and worthwhile project.